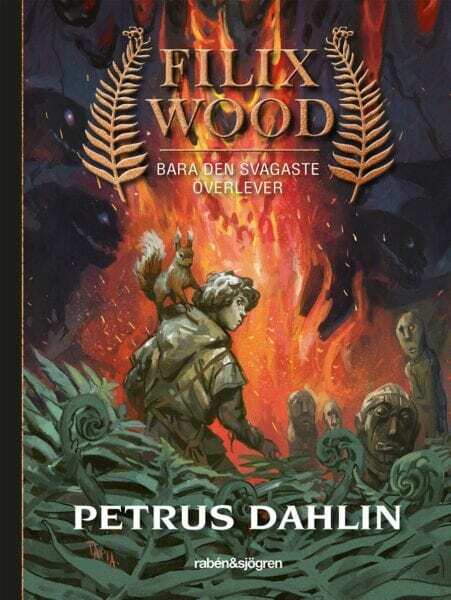 Petrus Dahlin debuted in 2004 and has now written around forty books for children and teenagers in the genres detective novels, thrillers, fantasy and horror. Petrus Dahlin is one of Sweden’s most successful authors for children and teenagers. As a child he used to “read” tons of comics magazines, long before he had the skill of reading the texts. To draw comics fanzines was therefore a natural thing to do, and he never had a dream to become an author. The illustrating took him to the field of advertising, marketing and information, which is in some way a type of story-telling where you have a couple of seconds to say something catchy enough to make people listen. However, he found it too shallow and the fascination to scare others, which he had already as a child, led him to become an author. Since the debut Petrus Dahlin has written around 40 books for children and teenagers in the genres detective novels, thrillers, fantasy and horror. Since 2010 he writes full-time and every year he meets no less than 2 500-3 000 children on his numerous authors visits to schools and libraries. His fan club among the young readers is enormous and his post box is filled with fan mails. For the last ten years he has had at least one title on the top list when the voting for the winner in the “The Children’s Library Award” (a Swedish national website promoting reading) takes place, and 2015 he won with Hide and Seek. Petrus Dahlin is also a member of The Swedish Academy for Children’s Books. Petrus Dahlin is one of Sweden’s most popular children’s and YA authors and has written over 40 books, one of the popular series is about Charlie Chipped (Kalle Skavank). Please ask for full biography.